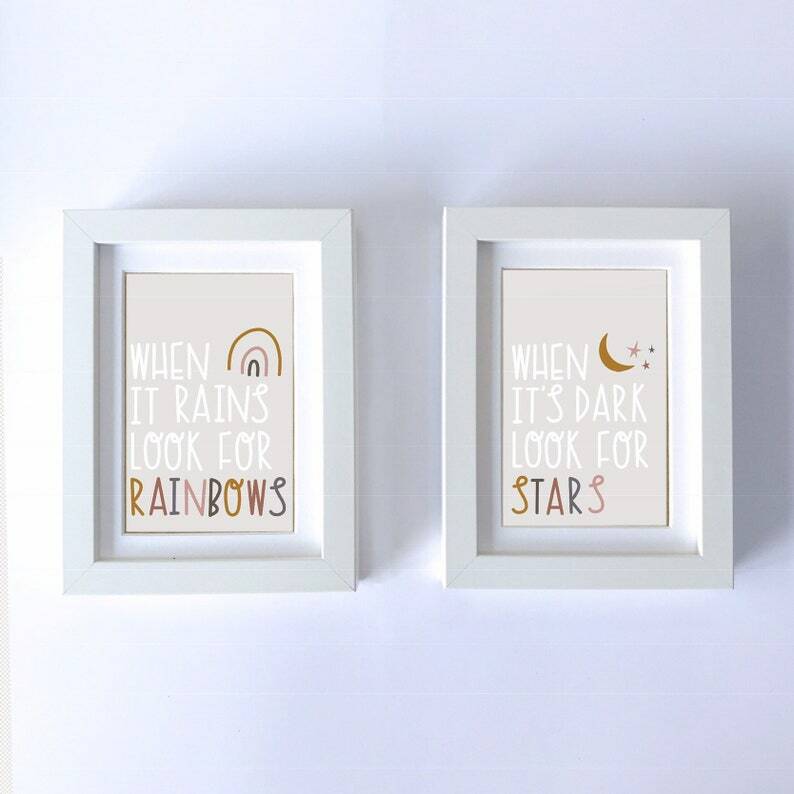 You can purchase these as a duo or individually, just select from the drop down menu and leave a note a checkout specifying which print. The print comes as standard with the colours photographed (14,22,28 on my colour swatch list). You can customise the colours using the swatch list as a reference. You can change the text and/or background colour. Leave colour reference numbers at checkout. If you do not leave a note, I’ll assume you’d like the standard colours. - 5x7 up to A3 printed onto FSC 300gsm brilliant white card manufactured in the UK. Posted flat. Can be personalised for £1 extra. Please select from drop down menu and leave name in a note at checkout. Name colour will be grey as photographed unless you’d like another colour.